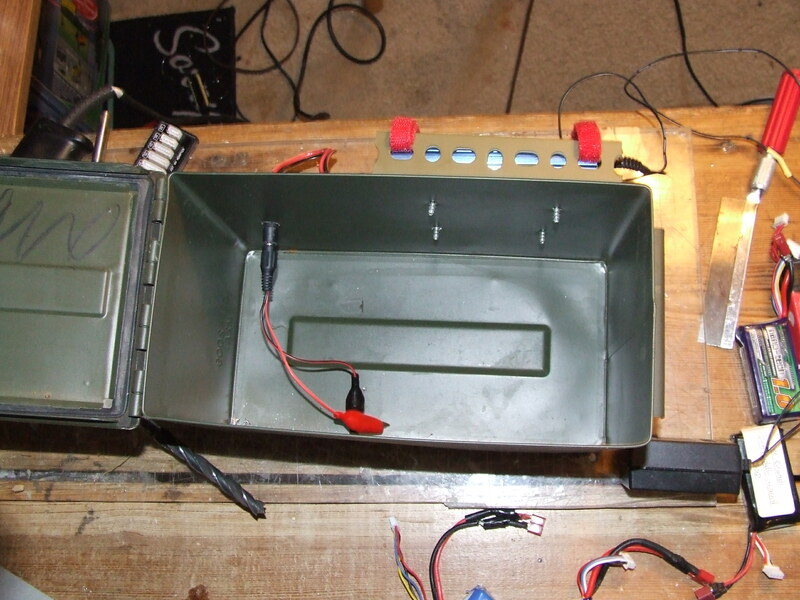 Here is my little charging bunker I am making out of a 0.50 cal ammo box. I got the idea from some guy on RC groups who did something similar. I still need to cut a slot for the balance port, but my wife is taking a nap and it being best to let sleeping bears lie and all... I'm going to build a rack to support a gallon ziplock bag of sand, per JetPackNinja's cinder block bunker. If a LiPo fire occurs, it will melt the bag and dump the sand on the battery. It makes for a nice, compact little unit. 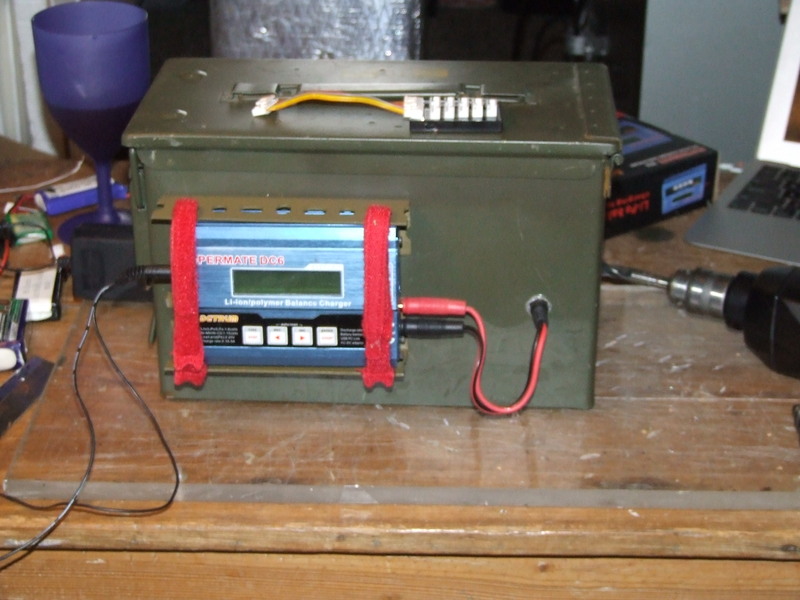 Since a LiPo fire is from free liberated Hydrogen I wonder if your bunker might need an emergency pressure relief valve to prevent an explosion of the Ammo Box during a fire. The vent will be through the holes where the wires pass. Those will not be sealed. I'm pretty confident that the metal would deform in lieu of detonating into shrapnel if something like that were to occur. Got another one. Destructive testing CAN be FUN! [h=5]Lithium-ion Polymer[/h] Lithium-ion polymer batteries use liquid Lithium-ion electrochemistry in a matrix of ion conductive polymers that eliminate free electrolyte within the cell. The electrolyte thus plasticises the polymer, producing a solid electrolyte that is safe and leak resistant. Lithium polymer cells are often called Solid State cells. IMHO no acid to neutralize.